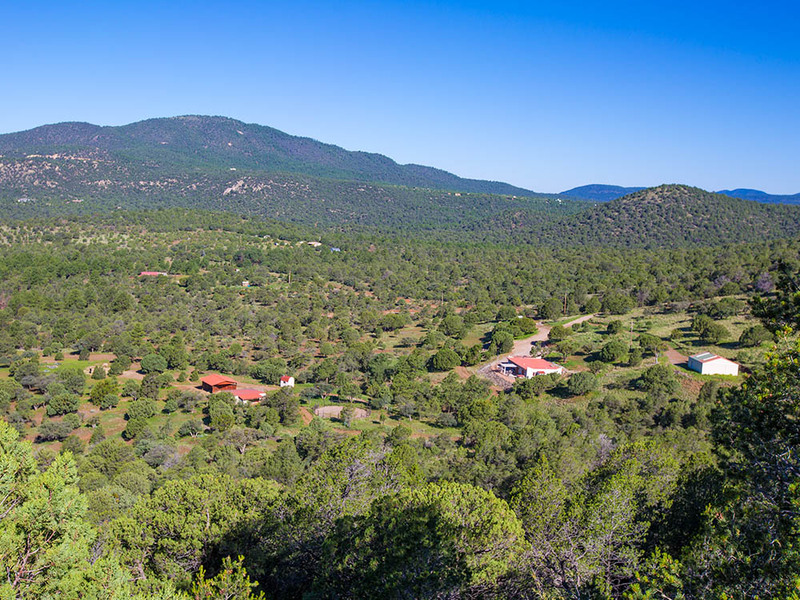 Silver City Sanctuary, sitting on 82± acres, is a retreat nestled in the mountains that near the Gila National Forest with views of Cather’s New Mexico skies in mind. This beautiful adobe style one-story 3BR/2BA home features ceilings lined exposed pine log beams from the nearby wilderness and birch cabinets. However, the rich wood built-ins and beautiful furnishings of the interior are no match to the beauty that awaits outside. 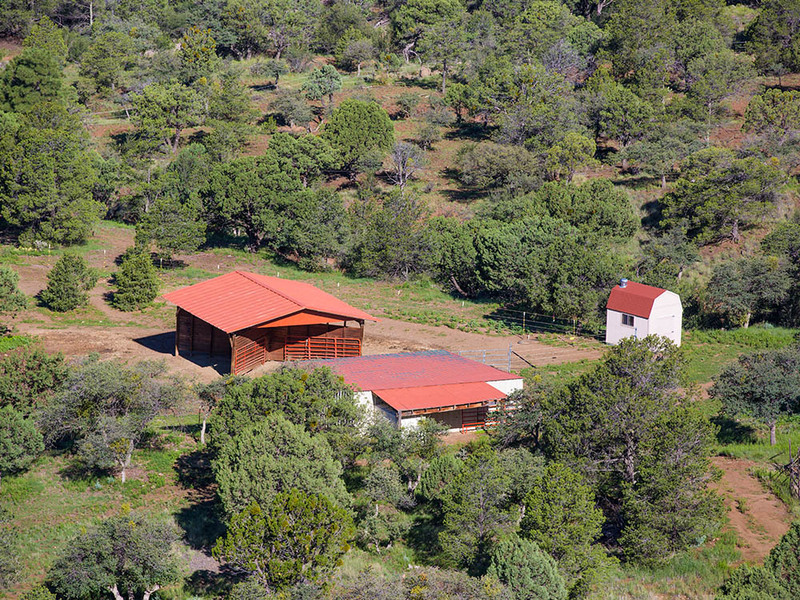 To maximize the breathtaking views, Silver City Sanctuary was built at an elevation of 6,500’ feet and features a patio surrounded by the nearby mountains of the Gila National Forest. From the home’s patio, you can see 80± miles into old Mexico. 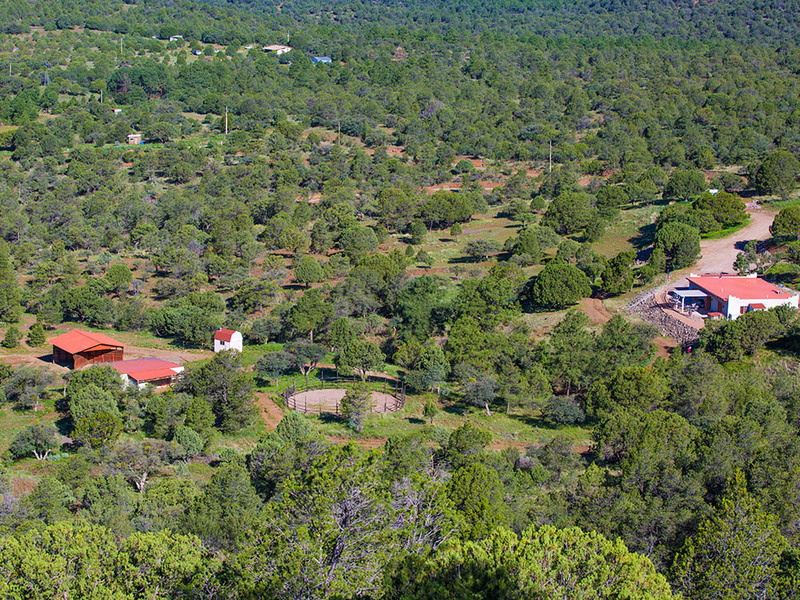 Don’t miss your opportunity to live among the mountains at Silver City Sanctuary. An Albert Burney representative will be available daily from October 15th thru auction Day between 10:00 AM to 4:00 PM. For more information call (800) 434-1654. Ten percent (10%) down Auction Day with closing on for before November 21st. Certified funds in the amount of $25,000.00 for parcel #1, $10,000.00 for parcel #2 or $35,000.00 for the entirety will be required to bid. The certified funds may be in the form of a Cashier’s Check made payable to the bidder, or a personal or company check with a Bank Letter of Guaranty. Welcome to Silver City, New Mexico – the gateway to the Gila Cliff Dwellings National Monument, the Continental Divide Trail, the 3.3 million-acre Gila National Forest and home of author Willa Silbert Cather’s New Mexico skies. 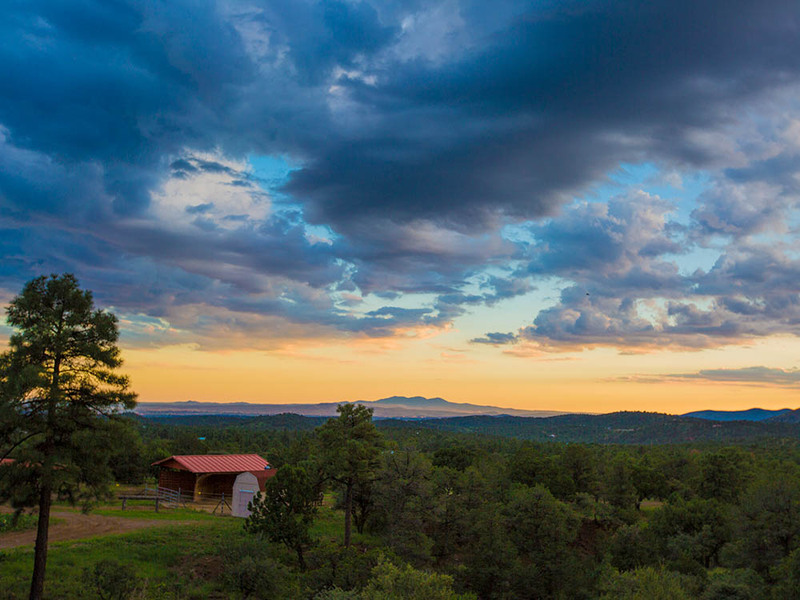 Parcel #1: Silver City Sanctuary, sitting on 41± acres, is a retreat nestled in the mountains that near the Gila National Forest with views of Cather’s New Mexico skies in mind. This beautiful adobe style one-story 3BR/2BA home features ceilings lined exposed pine log beams from the nearby wilderness and birch cabinets. However, the rich wood built-ins and beautiful furnishings of the interior are no match to the beauty that awaits outside. 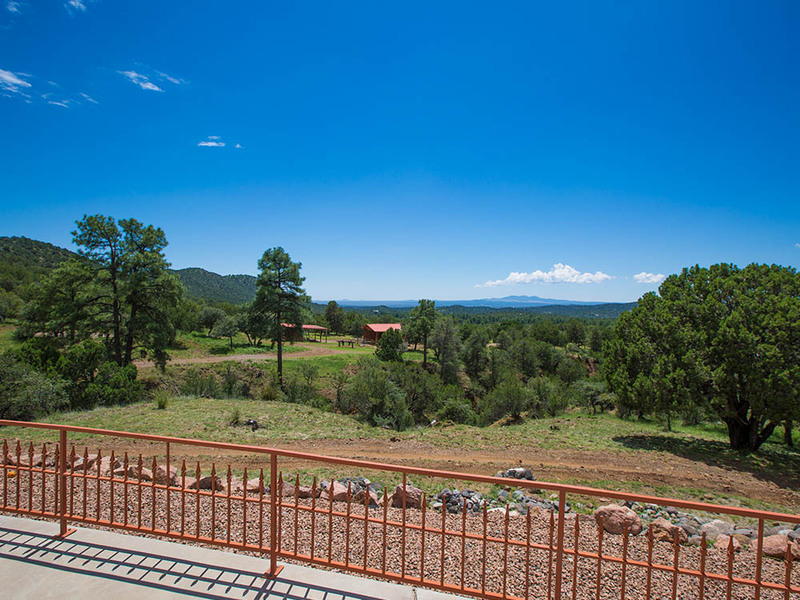 To maximize the breathtaking views, Silver City Sanctuary was built at an elevation of 6,500’ feet and features a patio surrounded by the nearby mountains of the Gila National Forest. From the home’s patio, you can see 80± miles into old Mexico. Clear night skies provide amazing views of countless constellations and the Milky Way. Horses are a wonderful complement to the property and supplies outbuildings for their care. 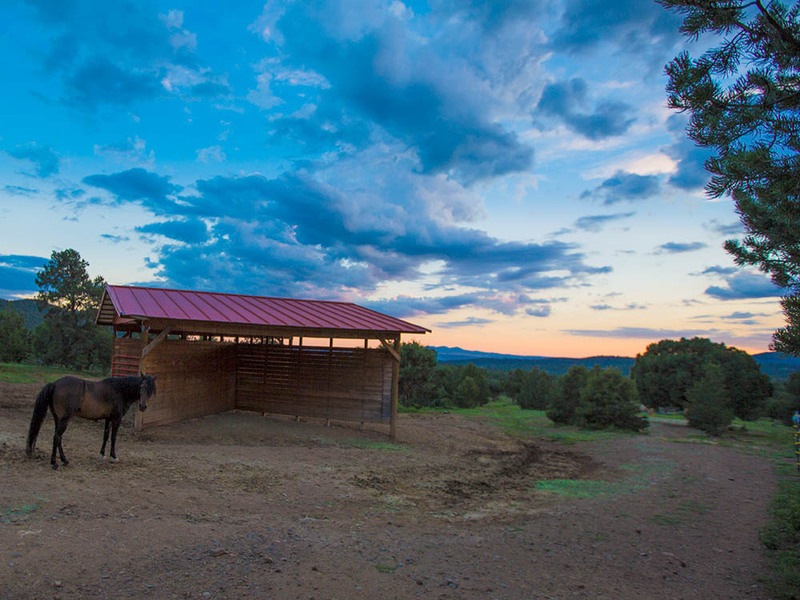 Silver City Sanctuary has a hay barn with a lean-to for feeding, a loafing stable with one enclosed pen, a tack room and a riding ring. It also has a 30 x 30 metal building with water, electricity, a dirt floor and one bay door to accommodate larger equipment. At least 38± acres of pasture are fenced with ElectroBraid® fence. 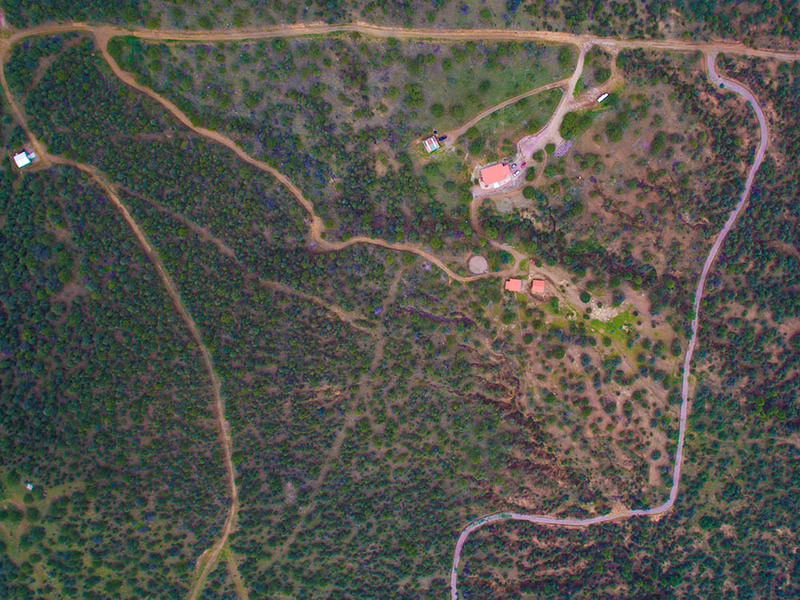 Parcel #2: 41± acres that features an “Upper Deck” on one of the mountains with a 360-degree view. The upper deck is the perfect place for a morning cup of coffee or a glass of wine at sunset. This Parcel will be sold at Absolute Auction – Selling Regardless of Price! Four gentle seasons afford the opportunity to ride horses all year-round. 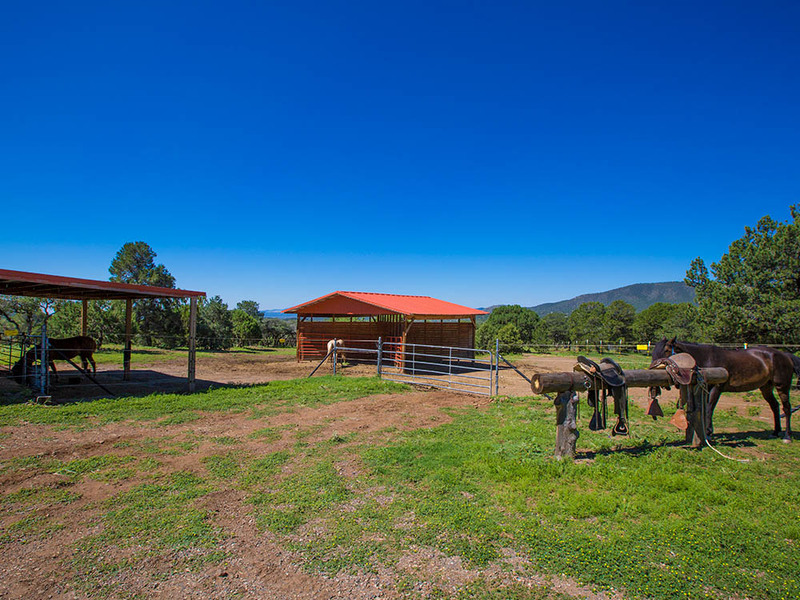 The property has direct access to the Gila National Forest, which supplies endless trails to explore by horseback or by hiking. Peace and quiet abound. 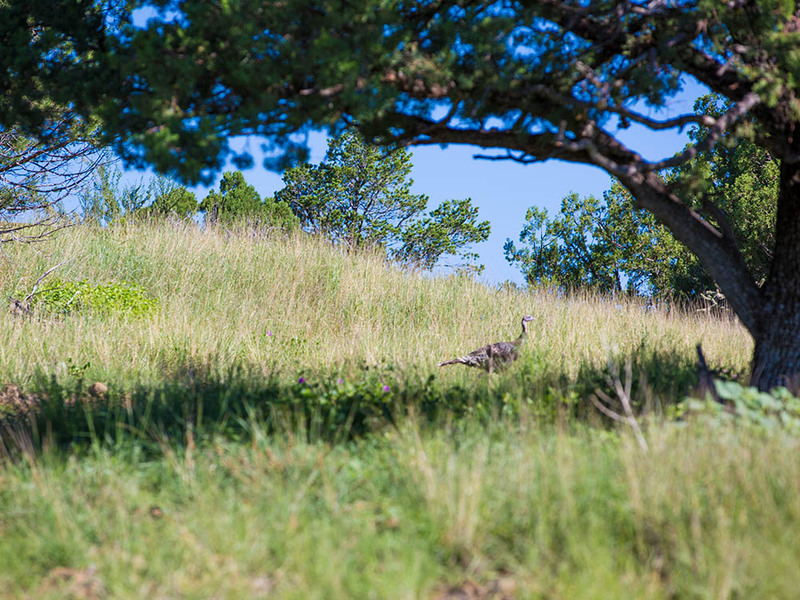 The land is rich with wildlife and offers a wealth of animals to photograph including mule deer, bobcats, bear, big elk, coyotes and wild turkey. The occasional mountain lion and bear have even been spotted among the property’s acreage. 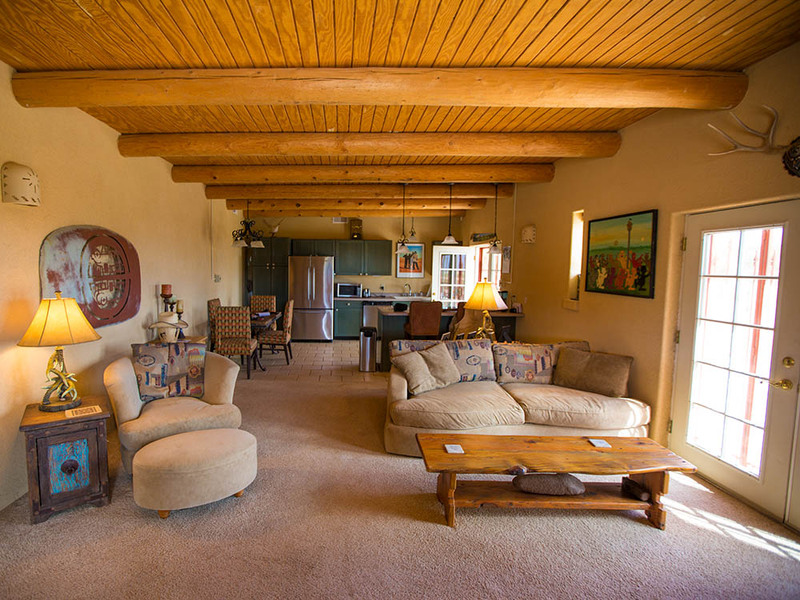 Don’t miss your opportunity to live among the mountains at Silver City Sanctuary. DISCLAIMER: All information is taken from sources believed reliable; however, no guarantee is made by the Auction Company, Broker, or Seller. Buyers should satisfy themselves as to any inspections prior to bidding. Any announcements made the day of the auction supersede all advertising. All measurements, boundaries, & square footage have been received by 3rd party resources. NM Qualifying Broker, Alicia Morrison license #17970.